The United States faces something of a perfect storm concerning the number of primary and specialty care physicians available to treat the population. America’s population is growing and aging. Many of our physicians are nearing retirement age themselves, and the ACA has expanded insurance coverage to millions. New research paints a stark picture of what this means for the healthcare system in the future. Fortunately, technologies like telemedicine are gaining traction just in time to help. Healthcare, like just about everything else, is a matter of supply and demand. We’ll talk about supply in a minute, but let’s start with demand. The American Association of Medical Colleges commissioned a study by HIS Market called, “The Complexities of Physician Supply and Demand.” The 2017 report is an update to work that was initially completed in 2015. The report examines four factors that are increasing the demand for qualified medical professionals. Population growth: The US is projected to grow by nearly 12%, from approximately 321 million to 359 million people between 2015 and 2030. Aging: During that same period, the population of folks under age 18 is expected to grow by just 5%. Meanwhile, the population of people over 65 is projected to grow by a whopping 55%. Seniors have much higher healthcare utilization rates than younger people, so this trend is expected to have an enormous impact on the healthcare system. Achieving population health goals: It may seem ironic that achieving population health goals like reducing excess body weight, improving control of blood pressure, reducing cholesterol, and smoking cessation may have a negative impact on the healthcare system, but the report predicts that with progress toward these goals, there would be an additional 6.3 million adults still living by 2030. Caring for that more people, many of whom will be over age 65, would result in the demand for approximately 15,500 additional physicians. Increased access to care: While the future of the American Healthcare Act remains uncertain, decreasing the number of uninsured remains a goal. Improved access to care will certainly save lives, but it will also place additional pressure on providers. The report finds that if currently underserved populations had used the healthcare system at the same rate as the covered population in urban and suburban areas, an additional 34,800 – 96,800 physicians would have been needed in 2015. That alone is an increase of 4 – 12%. For the third year in a row, the study projects physician demand will continue to grow faster than supply, creating a projected total physician shortfall of between 40,800 and 104,900 physicians by 2030. There are expected to be gaps in every area of care. Primary physicians: The shortage of primary care providers, which assumes a faster growth in the supply of nurse practitioners, still projects a shortfall of between 7,300 and 43,000 physicians. Non-primary care specialties: This category, which includes surgeons, psychiatrists, pathologists and other specialists is expected to see a shortage of between 33,500 and 61,800 by 2030. Surgical specialties: The shortfall among surgeons varies by specialty, but overall it is forecast to fall between 19,800 and 29,000. The number of newly trained surgeons is almost the same as projected future attrition, so there is little opportunity for growth in supply. While the outlook does seem bleak, there is hope that technology and other innovations will help address America’s healthcare needs despite the physician shortage. 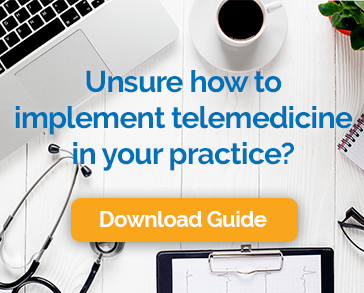 Telemedicine is one approach that makes it possible for physicians to see more patients each day, helping the system to get the most out of the available providers. It also helps reduce geographic barriers allowing each physician to serve a larger area and enabling access to specialists even if they are not located nearby. Telehealth also takes the friction out of collaboration between primary care providers and specialists, empowering a team approach to care. Other innovations may also help ease the burden. Dr. Ira Nash, senior vice president and executive director of Northwell Health Physician Partners, told CBS News that the survey results are concerning, but the healthcare landscape is changing so rapidly that it is hard to predict just how much the estimated shortages may affect how medical care is delivered in the future. “My own impression is that that’s going to change a lot and may have a huge impact on the numbers here,” said Nash. “Virtual care, self-monitoring, group sessions, some ‘miracle drugs’ — there are all kinds of things that can happen over the next couple of decades that will change the basic pattern of how we deliver office-based medical care. So I think it adds much more uncertainty to the conclusions of the report,” Nash said. There is a challenge at hand, but the news is not all bad. People are living longer, healthier lives. More people age gaining access to care, and innovative solutions are being developed to help address the growing need for providers.